Mobile smart phones come with strengths, but also weaknesses. These strengths and weaknesses play out in good mobile user experiences. Exai provides a fully mobile friendly website that is automatically enabled along with it's desktop website functionality. 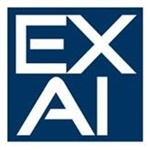 Exai customers don't have to be concerned about their site not being Google mobile friendly or difficult to navigate. Take the Google test mobile website HERE to get an idea on how you rate on mobile user experience. Compared with desktop and even laptop screens, phone screens accommodate a lot less content. As a result, screen size is a serious limitation for mobile devices making mobile content twice as difficult to navigate and display. Because content and feature prioritization is key to mobile users coming to your site, think carefully about what content needs to be prioritized. Remember that when you include one include a new design element or a new piece of content on the mobile screen, something else gets pushed out (or below the fold). So what does it mean for the users if you leave out element B in order to include element A? Because we use phones in a variety of contexts and situations, we are more likely to be interrupted when using such devices. Short mobile sessions mean that we must design for interruptions so designers should save context and make it easy for users to recover context and resume an interrupted task. Allow users to share information with themselves or others. And also allow them to return to their data on other platforms and access any actions they may have carried out on mobile. But designing for interruptions also means prioritizing the essential and simplifying tasks and interactions. Because attention is fragmented, strive to show users what they need as soon as possible. A simple task is easier to finish quickly. Although some phone manufactures are trying to accommodate multiple windows on the screen at the same time, the limited size of the mobile screen makes that goal quite unpractical, even with today’s larger-screen phones. The vast majority of users only see a single window (and thus a single application or website) at a time; they cannot split the screen (as on the desktop) and work with two different apps simultaneously. The single-window constrain means that any mobile tasks should be easy to complete on a single website. Also make sure that your site loads quickly. No one likes to wait. A website’s speed will impact the UX, functionality, and even SEO performance. Test mobile website speed by going to Google page speed test here. If your site is not stacking up to the level required, you can consider transferring your website onto the Exai platform. In this case you'll be immediately mobile enabled. Exai makes it easy to run a mobile site hassle-free and it's also very cost effective.